Just over a year ago, I started The Having It All Project because the media narratives on the subject just weren't enough for me. Whether you believe you can have it all or that having it all is a myth, my thesis was that most people have enough of however they chose to define "all." When it comes down to it, we're living life on the best terms we can figure out for ourselves and our families. I was confident that in doing these interviews, we'd have something we can learn from each other. At the same time, no one person can tell us how to live our lives for optimal satisfaction--we're all just living life the best way we knew how. I tried hard to find diverse points of view and present people from all walks of life. In the fifty interviews presented below, most are parents but a few are not (parents aren't the only ones trying to balance a lot!). The interviewees are married, single, divorced, widowed, gay and straight, biological parents and adoptive parents, parents of multiples and parents of only children, special needs parents and parents coping with their own issues, stay-at-home parents and working parents of both sexes, across the economic spectrum and from all over the U.S., Canada and England. They are list-makers and laissez faire. They thrive on routine and revel in spontaneity. They are living the life the imagined and the life they could never have possibly dreamed. 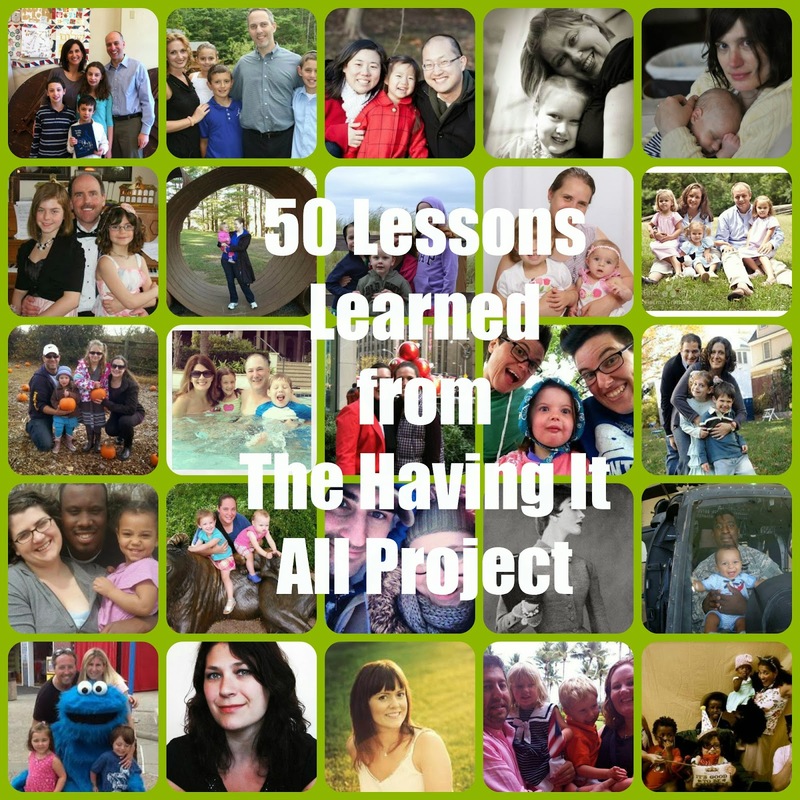 In chronological order, here are 50 lessons learned from The Having It All Project. Obviously, I'm teasing out just one great point below, so be sure to click through and read all the original interviews! 1. Allison embraced flexible childcare by using morning hours with her nanny and finding accommodating daycare. 2. James is on a senior non-partner track at his law firm so he can make it home for dinner most evenings, and loves his Google Calendar. 3. Liz says that to manage her work-life juggle, she's upfront with her employer about what she needs, be it telecommuting or adjusted hours. 4. Lynne relished her independence before adopting her daughter, but now she can't imagine life without her daughter's busy schedule of extracurricular activities. 5. Liz, primary breadwinner in her family, lives in a messy house but wrote a book on top of her full-time job, staying true to her priorities. 6. Alison works from home, avoiding a commute, and takes her preteen daughter out for breakfast on her own to make special time just for them. 7. Leslie and Adrian, parents of four, try to keep life simple, carpool, and sometimes, just complain out loud and then move on to get past the tough moments. 8. Carla looks to her friends for balance role models, and realizes that when you're sick, all the rules can go out the window. 9. Jessica often has to "fly solo" when her husband travels, so she's learned to slow down and take things one at a time when she's managing her kids and work on her own. 10. 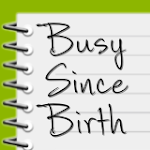 Eleanor embraces technology, like the reminders app and lists for groceries and errands, and isn't afraid to schedule date night when calendars get chaotic. 11. Carol followed the un-schooling model for her teenage stepchildren and, as a minister, carves out time to attend to her own spiritual needs. 12. Sharon's family uses a "reset button" for when the chaos level gets too high, and recognizes that having it all is pretty easy when you have the right perspective. 13. David tends to get involved in too many volunteer efforts, but is working to curb his "Fear of Missing Out" and scheduling more downtime to recharge with his cat. 14. Kimberly acknowledges she's been able to pursue success at work due to her children's great daycare experiences and her husband's hands-on parenting. 15. Al sings along with the car radio, enjoys a cathartic cry, and knows he's never more than 24 hours away from his next Dunkin' Donuts extra large coffee. 16. Danielle, mother of four girls and lawyer with a home-based practice, learned that she can't schedule appointments before 10 am if she wants mornings to go smoothly. 17. Naomi gets lots of help from her extended family so that she is able to work as a Creative Strategist and run a side business of balloon twisting. 18. Nanette's family relies on routines and rituals to curb the chaos, particularly observing Shabbat and sharing their "WOW of the Week." 19. Audrey, a stay-at-home mom, knows that it's okay to have a sitter come in sometimes so that she can have some "me" time too. 20. Kristopher had a rough first day back at work after being a stay-at-home dad to his twins for the first two years of their life, and was able to negotiate a flexible schedule. 21. Lyette never thought she'd get married and finds some of domestic life difficult, but she handled a rough stomach bug-traveling-snowstorm situation with grace. 22. Emma has learned to avoid caffeine, situations that are highly disorganized, and experiences where she can't tap into her own creative energy and spirit. 23. Faun, a work-life balance expert, says it's better to serve Cheerios for dinner and be able to focus on talking to her children than cook an elaborate meal and be too tired to listen. 24. Marc believes in "logistical bankruptcy," meaning that sometimes you have to stop planning, do what you can do, and let go of the rest. 25. Astrid cobbled together her career as a virtual assistant and a Zumba instructor, and prioritizes getting enough sleep! 26. Monina, a single mom, has been handed more than her share of lemons in life, but now? She's living life exactly how she wants. 27. Gina shared some of the challenges of navigating open adoption after foster care, and uses her experience with sexual assault to educate others. 28. T.J., an Army pilot whose helicopter was on fire over Baghdad, Iraq, knows how not to sweat the small stuff and take life one bite at a time. 29. Allison works with parents of special needs or quirky kids, and reminds us not to be ten years or even ten steps ahead of ourselves, but to practice in the moment mindfulness. 30. Rachel's family made a big move in support of her husband's career, and shares a Disney World experience that proves it's not the happiest place on Earth for everyone. 31. Mrs. Mac, our anonymous attorney from across the pond, shows us that life as a working parent isn't all that different in other parts of the world. 32. Casey, half of a two-mom family, tries to keep things simple, and admits that though it's easy to lose balance just after you've found it, life totally rules. 33. Kristen builds in a few minutes of meditation into every hour, and tries to focus on building a fun and healthy life for her and her daughter. 34. Danielle came back from a difficult time in her life to realize that she's needed here, and now tries to make time for herself so that she can be a better mom and have the career she wants. 35. Sarah's boss said she wasn't paid enough to be that emotional and upset about work, so she's learned to sleep on it when she has to make a big decision or react to a challenge. 36. Elaine taught herself web design skills and built her business from scratch, and wants her children to see what it looks like for her to fail, to succeed, and to be in limbo. 38. Rachel transitions from work mode to parent mode several times a day, but still makes time for her own "extracurricular" activities. 39. Michelle, a mom, college professor and part-time PhD student, plans and makes time for the freakouts that are bound to happen, and has a true partner in her husband. 40. Hollie uses music to help transform her mood, and survived an interstate move while her family coped with lice! 41. Heidi's family adheres to five week meal plans (my favorite tip of the whole series!) and admits that she loves working while under pressure. 42. Kristina struggled with postpartum mood disorders after her first of three daughters was born, but got treatment and went from surviving to thriving as a parent. Now she helps others do the same. 43. Meredith's daughter had a health scare that she got through by compartmentalizing and simply because she had to, and knows the only "right way" to do things is the way that works for you. 44. Vincent realized he was out of sync with his infant daughter and reduced his workload to accommodate both her needs and his own. 45. Jessica admits that her house can be a complete disaster, but she doesn't let it stress her out, and encourages her husband to take on more of the "invisible labor" in running a family. 46. 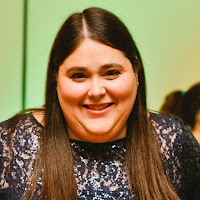 Kate manages a chronic and progressive nerve disorder that can make everyday motions more of a challenge, but she works hard to take things one moment at a time. 47. Phyllis lives across the country from her extended family, so she's worked hard to create a community of friends that she can rely on like family. 48. Melanie took a year for an intense journey of self discovery to figure out a new career path now that her youngest child started kindergarten. 49. Diane realized her family tended to break down in the mornings, and that if TV during breakfast was the solution, she was going to embrace it! 50. Robin, whose family theme song is "Crazy Train," has learned it's important to be able to ask for help as well as accept that help in whatever form it comes in. 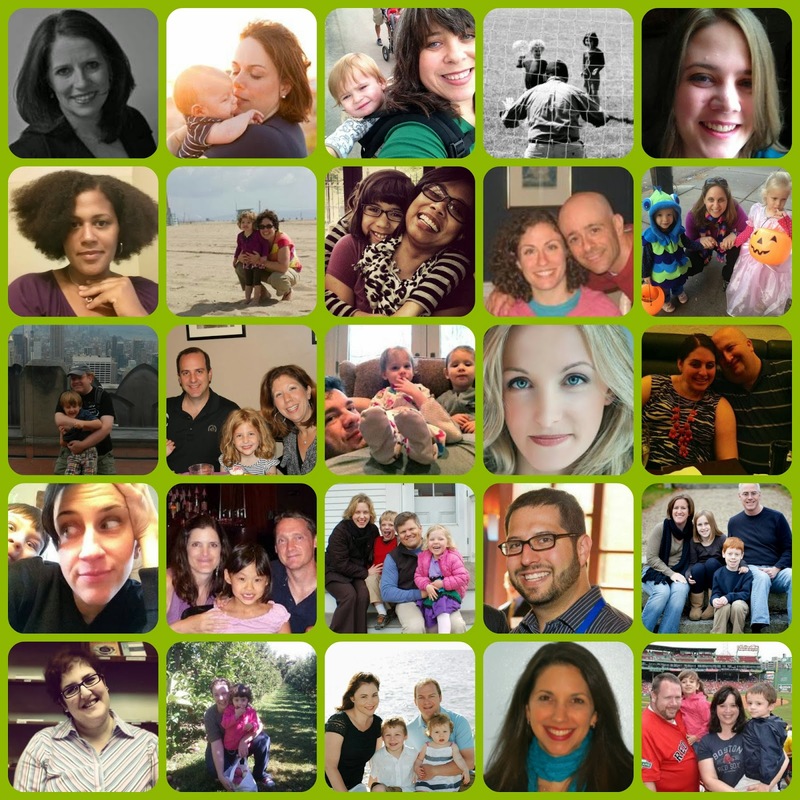 A HUGE thank you to all 51 Having It All Project participants. Thank you for opening up and sharing your lives with us all. Your words have inspired people more than you know, including me. Relate to what the Having It All Project is saying? Leave it some love in the comments. Read other posts from The Having It All Project here. Want to participate? Send me an email at havingitallproject@gmail.com. Great post! Thanks so much for including me--it was a pleasure. Thanks for including me! I enjoyed participating. This is really amazing, Cheryl. Great tips right in this summary.